We were tasked with delivering a best-in-class, integrated, customer centric website to improve information delivery and increase lead generation opportunities. 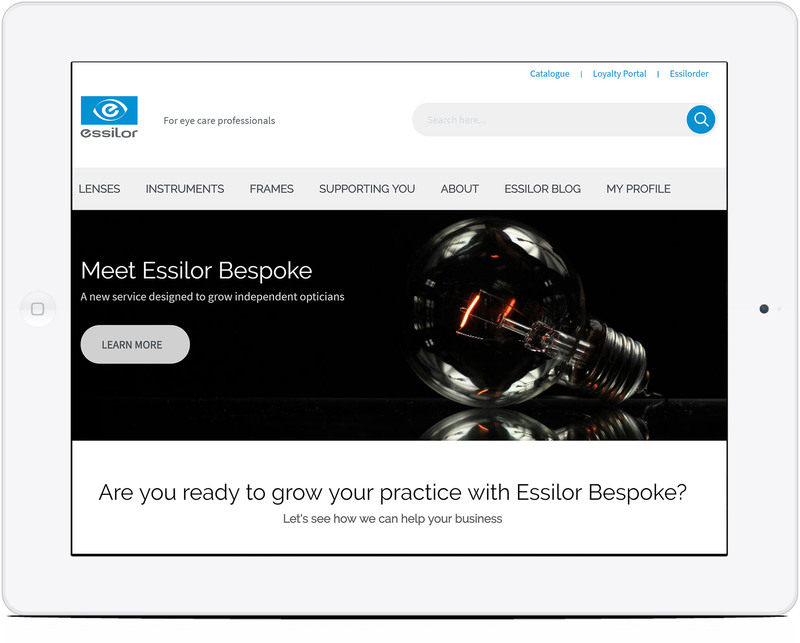 In addition, the new site needed to provide informative content to support its customers (independent eye care professionals) so that they could sell Essilor’s product range. We developed a new website which features an improved user experience, Salesforce integration and a new online training academy. We refreshed the look of the website and brought the branding up to date. To make the website the primary source of lead generation for the business, we transformed the product pages to effectively showcase the range of prescription lenses for maximum appeal. To empower eye care professionals (ECPs), a training academy was introduced with the launch of the new website to deliver the accredited annual training required by all optometrists. ECPs can now access and work through their own training programme to gain Continuous Education and Training (CET) points.